Outside of choosing the right mattress, finding the right pillow is a very close second. There are so many options on the market today, that finding the right one can be just as daunting as finding the right mattress. 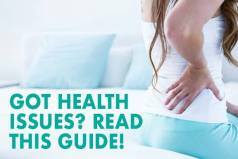 When searching for the best pillow review, there are some criteria to look for that will help you find the right pillow that will provide you with comfort, quality, and overall longevity. 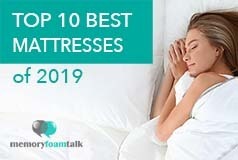 In our Best Pillow guide, we provide you a list of pillows we have reviewed and take a look at factors that may make a pillow better or worse for different sleepers. Taking into consideration construction and materials, comfort, our experience sleeping on them, and what type of sleepers may be best for a given pillow are all important criteria to select the best pillow. Loft is an important consideration when choosing a pillow. 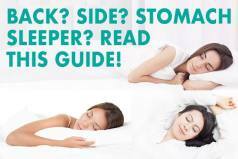 If you often layer your pillows under your head during the night, you need a pillow with more loft – while if you wake up with too much neck or back pain, you may have one with too much loft. In the end, you want to make sure you get the right pillow for YOUR sleeping preferences.